www.A1propertyservice.com - A1 Property Service Co. Topics: Articles, Services, Reports, Why Us, and Greenimpact. 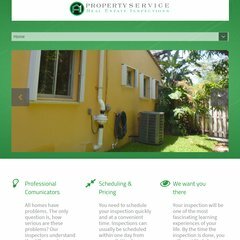 a1propertyservice.com A1 Property Service Co.
Its 1 nameservers are ns31.domaincontrol.com. Its local IP address is 173.201.63.1. Godaddy.com Inc (Arizona, Scottsdale) is the location of the Apache server. PING (173.201.63.1) 56(84) bytes of data.